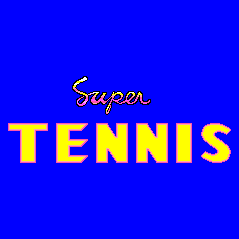 Super Tennis (スーパーテニス) / Great Tennis (グレートテニス) - Games - SMS Power! 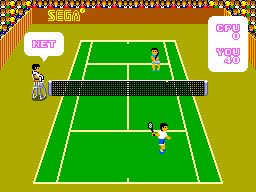 You are all over the courts in this test of your tennis and computer game skills. Every game is a challenge. Every match is a hard-fought battle of wits and technique. 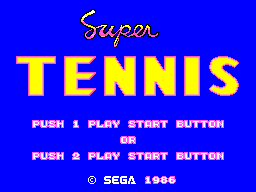 Use smashes and volleys. 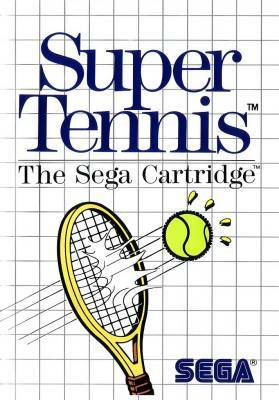 Go to the net for an intense rally. Exploit your opponents weakness and force the play with your own strengths. Pick the surface you want to play on. Choose the game you want to play. 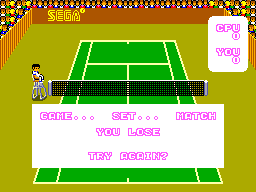 Play singles and challenge yourself to the limit. 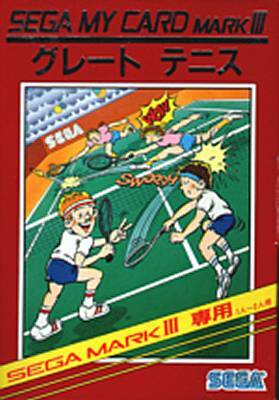 Play doubles and you combine your abilities with solid teamwork. You took the match? Well played. 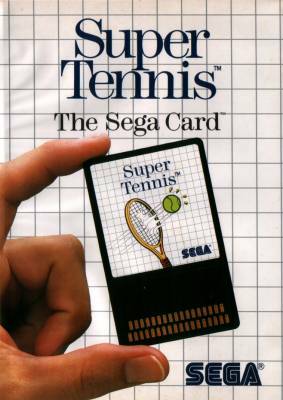 Next stop, Wimbledon! 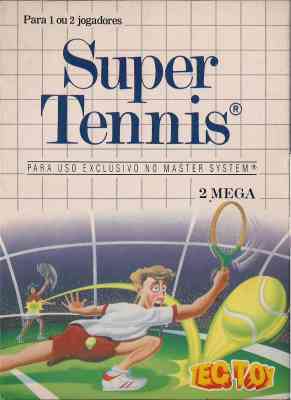 Title screen says "Super Tennis".